It Acupuncture is one of the oldest, most commonly used forms of medicine in the world. Originating in China more than 2,500 years ago, acupuncture is currently one of the most thoroughly researched, practiced, and respected forms of complementary medicine available anywhere. According to Traditional Chinese Medicine, your overall health is determined by the quality of the Qi (energy) flow through the natural pathways of your body (meridians). Acupuncture uses a variety of techniques, including placing very thin sterile needles into specific points on the body, to stimulate and improve your Qi flow. Moxibustion is a Traditional Chinese Medicine technique that involves the burning of mugwort, a small, spongy herb, to facilitate healing and health. The effects of moxibustion last for hours after treatment in response to heat stimulation. Cupping is a negative pressure massage that uses suction to move blood and stretch connective tissue. It is used successfully to treat chronic pain. Trigger point therapy is a style of bodywork that focuses on stimulating and releasing “trigger points” in your body. It is also know as Dry Needle Technique. Trigger points are tender areas of tension similar to acupressure points; these ‘knots’ are built up throughout a person’s life due to physical or mental stress. This process can be quite painful at times, yet the effects are lasting and profoundly transformative. Medical micro needling, or dermal rolling, works by stimulating growth factors and rebuilding the skin while keeping the epidermis intact. This regenerative healing causes collagen to be formed from the base of the skin upwards. Other modalities, including chemical peels and lasers, cause a thermal shock to the skin, stripping away the skin’s outermost barrier and creating abnormal cells. Scar tissue can actually be produced when collagen formation takes place on the skin’s outer layers. To support this procedure, I have also added the Dermaviduals skin care line. Dermaviduals products are based on the science of corneotherapy, an innovate new approach to skin care. Rather than buying a cream or serum off of the shelf, each product is individualized for your specific needs. These products contain vitamins, nanoparticles and other nutrients that target specific skin cells and structures. Micro needling is ideal for preventing the signs of aging and UV damage before they ever appear. It works equally well at treating existing wrinkles, age spots and scars with long-lasting results. For anyone concerned about their skin's health and appearance, I offer a free 15-minute consultation to discuss your skin care needs and treatment options. Read more about medical micro needling. A therapeutic lifestyle is a modern term that follows the fundamental tenet of Traditional Chinese Medicine that states 'first and foremost, look to the food and living habits before prescribing any other treatment.' It means making choices everyday that will enhance health and help prevent disease. Quality foods, gentle movement/exercise, restorative sleep, avoidance of toxins and stress management are all significantly in our personal control. Modern scientific research, confirming centuries of TCM wisdom, now demonstrates that many chronic diseases are largely caused by lifestyle choices and habits. A therapeutic lifestyle program is now recommended by the National Institute of Health (NIH) and other leading health organizations as a primary therapy for individuals with heart disease, elevated triglycerides or cholesterol, hypertension, and metabolic syndrome, plus many other conditions. Eating a healthy cleansing diet and learning to plan menus. Education on nutrition, health and maintenance of new lifestyle. A system for keeping track of changes and taking charge of personal health. 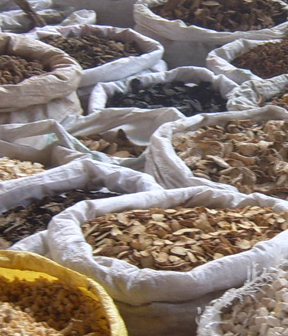 Chinese herbal medicine is a 2,000 year old tradition using naturally occurring substances — including herbs — to enhance one’s health and vitality. As opposed to Western medicine, the foundation of this approach is to support the body’s natural self-healing mechanisms and abilities. Cytokine therapy is a new medicine that uses signaling molecules to program, repair or override destructive mechanisms of disease. Cytokines are produced by the body and work by telling cells where in the body to go and how to function. Disease processes can prevent this communication, causing an overabundance of the inflammatory cytokines and inhibiting the healing cytokines. I use GUNA interleukins and formulas for cytokine therapy. The cytokines delivered orally contain the same molecules that our bodies naturally produce. In some cases, compounded cytokines can be used topically as an analgesic for pain relief.